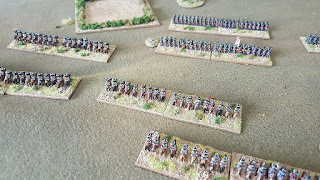 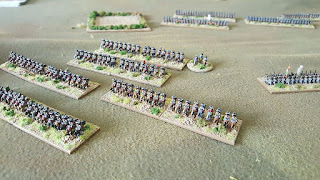 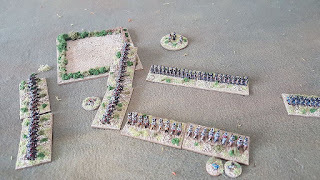 Last Saturday Drew came over to mine and we played a couple of games with the War of the Spanish Succession collection using the Maurice rules. 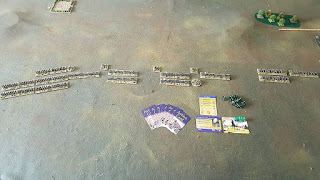 It was over a week ago and I've slept since then so the details may be a bit vague. 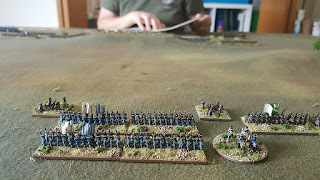 We set up the first game, Drew would be the attacker so added an extra unit of foot. 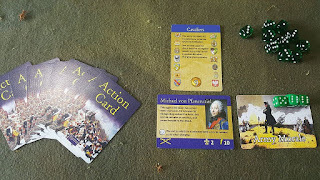 This one was pretty much over by the time we had played through the first deck. 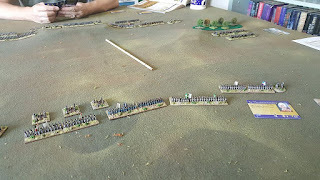 Drew pushed up his left flank horse while I advanced with the foot to face his foot and horse. 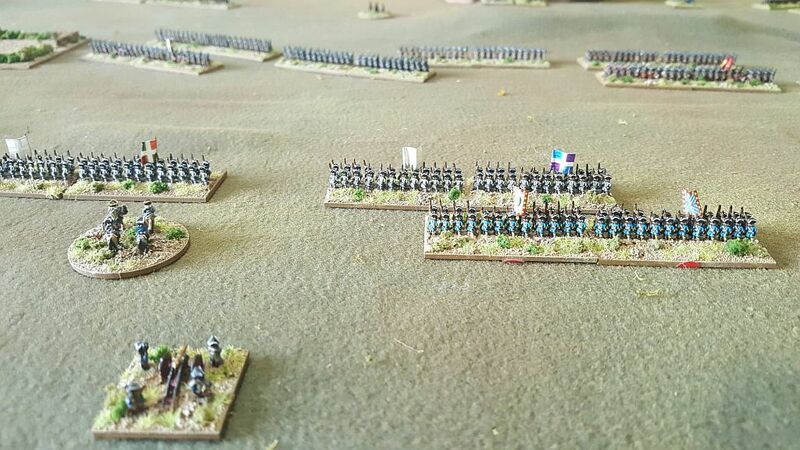 Stuck in front of the lethal volleys of the Anglo-Dutch foot the French and Bavarians soon withered. 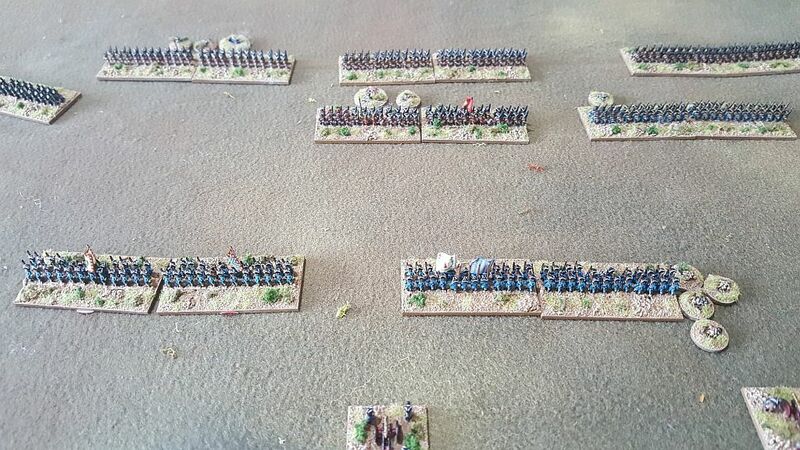 Many an heroic cavalry charge wash thrown in and pushed off. 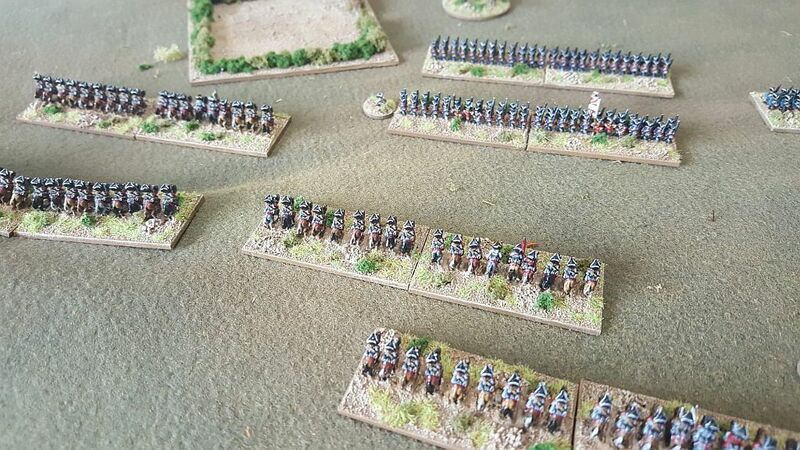 French horse managed to get onto the flank of the Dutch foot, but the French army morale collapsed before they could capitalise on it. 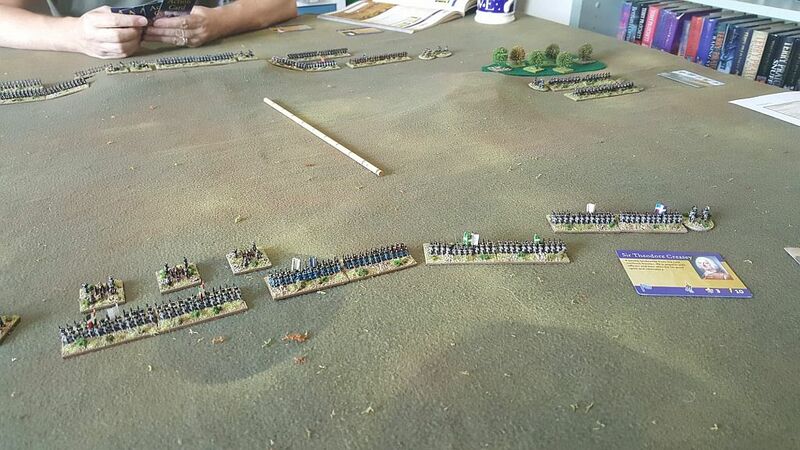 As this had only taken about an hour we lined the forces up again and had at it. Again Drew would play the attacker. 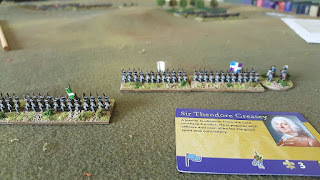 This time the Anglo-Dutch deployed in the same fashion as they had before, while the French and their allies took a new tack. 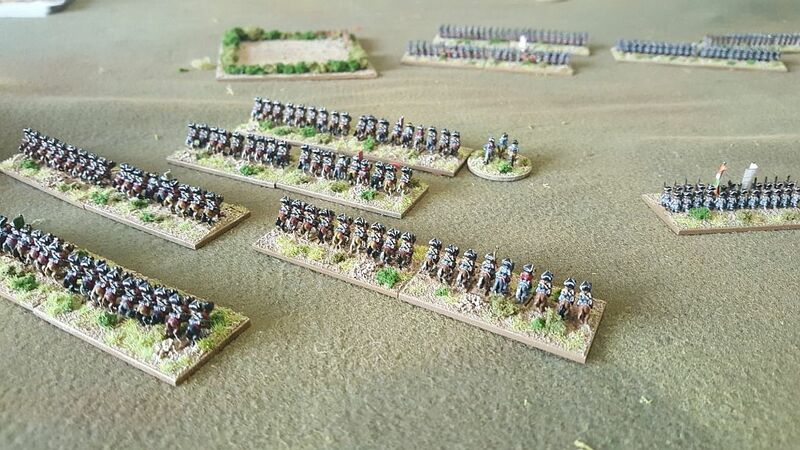 They put all of their horse en-masse on their left flank and made much more use of their artillery to bombard the Anglo-Dutch foot from a distance. As the Dutch horse on the left flank had no opposing numbers I pushed them up the battlefield to hopefully draw French reinforcements. This was not to be, and as you can see from the image below the Anglo-Dutch horse on my right were heavily outnumbered. 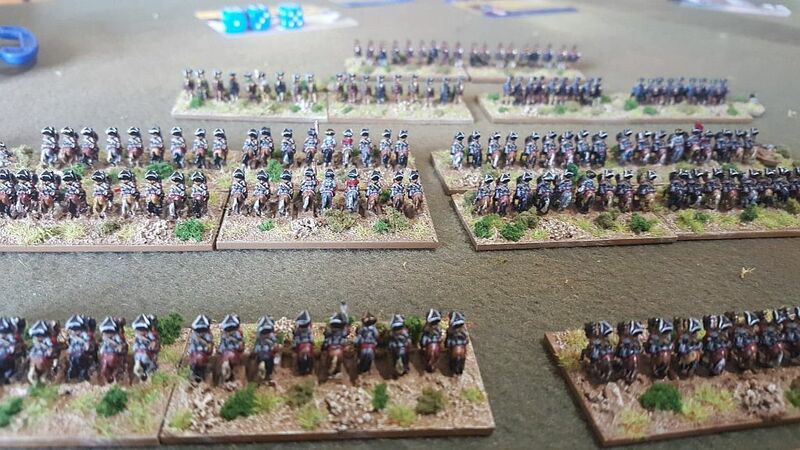 This is only three quarters of the French horse against my few Dutch horsemen, there is another pair of units behind these! 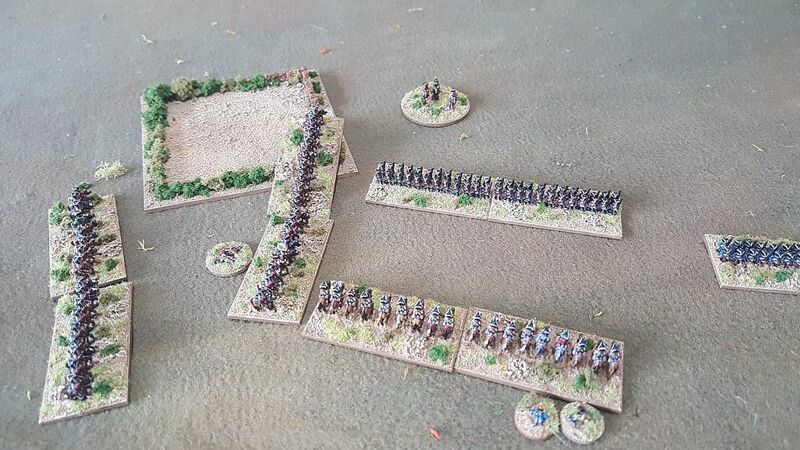 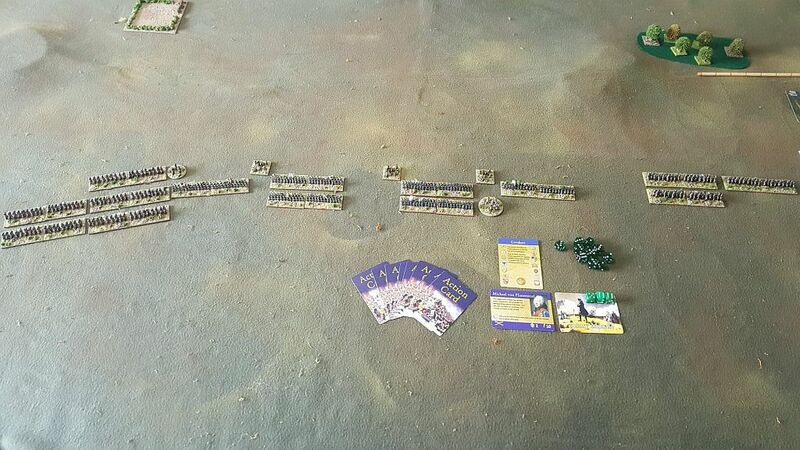 The Dutch infantry did get moving into the centre and some very fortunate card usage was able to prevent the sledge hammer that fell on my right from breaking through immediately, although eventually all the horse on that flank were routed. 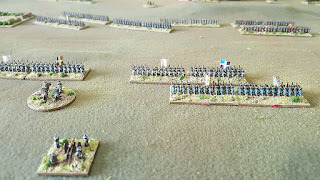 Refusing their right flank the Anglo-Dutch infantry advanced on their opposite numbers and the Lethal Volleys soon did their work although at the end of the game it was much closer and the French route to the objective was open and it would have been theirs if their morale had not collapsed. 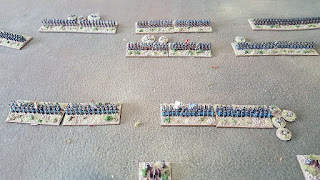 All the figures are from Baccus 6mm and were painted by myself.